The Crognale family has been in the boat business in Pittsburgh since 1965. It began when Ed Crognale and his brother, Joe, opened their first boat shop in Moon Township on Moon Clinton road. At that time, it was called Airport Marine. The business grew quickly and within a few years, Airport Marine needed a bigger space. Ed and Joe decided to stay in Moon Township so they built a new shop, located on Stoops Ferry hill. Within just another few years, the business grew out of that space and so they relocated to an even bigger space in Center Township. This is when they changed the name to Boat World. Boat World’s success continued over the next 25 years encompassing nearly every aspect of the marine industry. The business sold new and used boats; it manufactured and sold trailers; it offered two full-service marinas: one in Charleroi and one in Bridgewater; and at one point, Boat World had seven different locations: Center Township, Charleroi, Bridgewater, Jamestown, Blawnox, Altoona, and Wheeling. Boaters throughout the tri-state area knew the name ‘Boat World’ either because they bought their boats there or simply because of the store’s big boat sign that towered above route 376. As the business grew, so did the Crognale family. Ed and Joe’s five sons spent most of their childhood at Boat World, especially Ed’s son, known as "Little Eddie," whose crib was in his dad’s office. As Little Eddie grew up, his life became Boat World. The older he got, the more responsibility Big Ed gave him, teaching him everything about the business. By the time he was 18, Little Eddie had learned nearly every aspect of the boat business. In 2001, after nearly 40 years in the boat business, it was time for Ed to retire (even though everyone who knew him knew that wouldn't really happen). He closed Boat World, retired for about a day, and since then has continued to work in the boat industry in Pittsburgh. In 2012, Ed’s son, Eddie (not so “little” anymore), decided to open his own boat store, and he couldn't think of a more fitting name than Boat World. In 2013, Boat World reopened its doors in Crescent Township, PA. After only a year and a half, the need for a bigger and better space was inevitable. 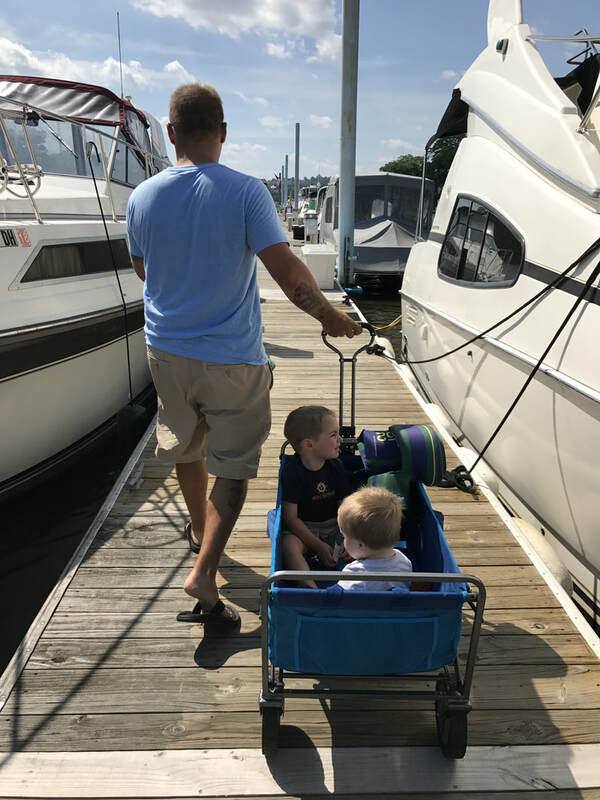 Eddie couldn’t think of a better place than back in Bridgewater, PA. With a family of his own now, Eddie runs this family-owned business with his two sons in mind, hopeful that one day, they'll take over and Eddie will finally be able to enjoy more time on his own boat.